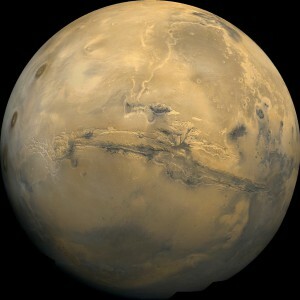 Mars is home to many peoples. The most numerous are the Red Martians, of which I am one. We are the common people of the Red Cities, and I suppose I must admit that our rulers are of the same descent. We share our history with the Pales, though you’d hardly know it to see them. They are giants, of whom my master fought not a few. The Pales stand over a dozen feet, with four arms. I would not have believed that every one of those hands could hold a sword, but I have seen it with my own eyes –and been lucky to survive. Their eyes are large, their hair black and spare, and their mouths sport two small tusks. Like us, they are the descendants of desert nomads who survived the drying of the seas and the fall of the cities of the First Martians. Unlike us, they choose to reclaim these cities. Of course, there are not many of them anymore – the First Cities are dangerous places, as is the open desert – yet they live in small settlements among rebuilt ruins. I have heard them called a savage race, but my master often said that we are no less savage. For, if we were not, how could we survive in a world which also contains them? We Reds and Pales are not alone, of course. The Zaius, sought after as physicians and wise men, resemble the apes even more than we. The women of Wyeth are as much plant as animal, and much-feared as warriors. The Skarruts have survived where many other lizards have died, evolving to generate heat within their own bodies. And there are others, smaller, stranger peoples who might be found in the bazaars of Vance or their own lost cities. Whence came so many peoples and the fragments of culture we share is unknown to me. I’ve heard it said that we were created by the First Martians, each with some purpose in a grand design. Some astrologers claim that we were seeded from distant stars, that the First Martians themselves were survivors of some earlier, more beautiful world. My master, though he could wax philosophical given enough drink, dismissed these questions as the domain of scholars hunched over books and bones. I myself think that when our world truly lived, it was simply abundant in all things, thinking creatures included. During my apprenticeship and in the years beyond, I have never met a man quite like my master… yet I have met many who share the same wanderlust, the same greed, and the same passion for reckless adventure. I have met these among all the people I have encountered on our Red World. For some, there is no place in life but that carved with the point of a sword. You can read previous installments of “The Apprentice’s Tale” here. Where the gorilla artillery man? I find it curious that you decided to Greens to Pales, considering how upfront are their roots for anyone who has ever read or seen a film based on Burroughs’ saga.